Acupuncture, an ancient Chinese technique that treats a wide variety of illnesses, also relieves pain. Acupuncturists insert needles in the patient’s body, restoring energy flows and addressing ailing medical conditions such as neck pain, colds, pre-menstrual syndrome, nausea or high blood pressure. 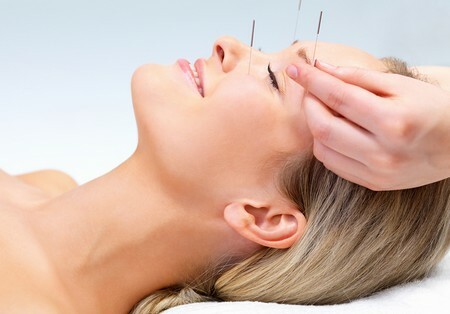 Acupuncturists insert needles in the patient’s body at exact points, studied over the centuries. Find a qualified acupuncturist in your area. The prices for an acupuncture treatment vary from city to city and practitioner to practitioner. Also, some acupuncturists specialize in treating nausea, so look for the right acupuncturist. Visit Acufinder Web (http://www.acufinder.com/) for a list of acupuncturists and different specializations. You can also ask your doctor for a recommendation. Some doctors stay up to date with alternative medicine methods and know if you would benefit from an acupuncture treatment. They might also know alternative medicine practitioners with good reputations. Understand the treatment. Some people might find the idea of needles frightening. Discuss with your acupuncturist your nausea issues and ask all the questions you want to ask before beginning the acupuncture session. The needles are usually very thin, and you will feel a very slight sting when the acupuncturists inserts them. For nausea, the acupuncturist will insert needles along your stomach meridian, which is located underneath the knee. This should relieve nausea and reduce the sensation of vomiting. Your symptoms might not disappear after only one acupuncture session. As with any treatment, you have to persevere and follow the treatment plan your therapist suggests. Discuss with your acupuncturist the possibility of combining acupuncture with acupressure. Acupressure, a technique you can apply on your own, requires only a minimum of training. Your acupuncturist can explain what you need to do to relieve nausea on your own between acupuncture sessions. Acupuncturists usually know a lot about alternative medicine. Your therapist might also be able to suggest complementary therapies, such as drinking various teas that relieve nausea or taking herbal supplements. Alternative medicine treatments usually work very well if you apply them at the same time. If your symptoms don’t disappear or you feel unsure about following a certain treatment, consult your doctor. Your nausea might indicate another infection, so make sure you check that first. Some insurance plans cover acupuncture treatment. Medicare and Medicaid do not cover acupuncture. If your acupuncturists suggests herbs and supplements, know that insurance does not typically cover these; however, but they are usually more than affordable. Acupuncture doesn’t work or can even have harmful consequences if applied by someone without proper training. Before starting a treatment, make sure the acupuncturist is qualified. Also, don’t try acupuncture at home. If you want to treat yourself or someone in your family with acupuncture, complete specialized training first.